The Old Dairy is a popular Maleny wedding venue located in the Sunshine Coast Hinterland. Weddings are such a precious and memorable experience and Maleny is a very romantic place to celebrate your special occasion. 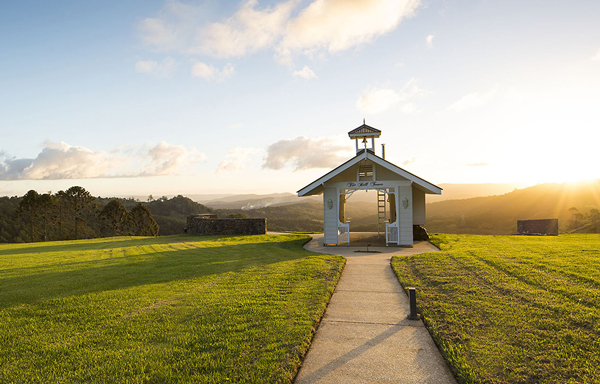 Our family property The Old Dairy at Maleny is ideal for weddings with its gorgeous, uninterrupted valley views and amazing sunsets with an ancient backdrop. The Old Dairy has sprawling acreage of picturesque green landscape that becomes a unique canvas for you to personalise your magical day. The perfect location to tie the knot may be found on the rolling vistas surrounded by lush rainforest.